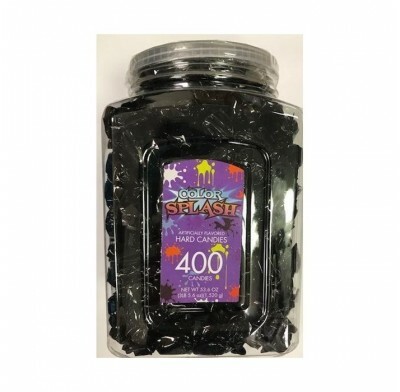 These hard candies are wrapped in a black foil and are black cherry flavored. Perfect for candy buffets, weddings, baby showers, etc. Sold in a 400ct. (53.6oz.) clear jar.